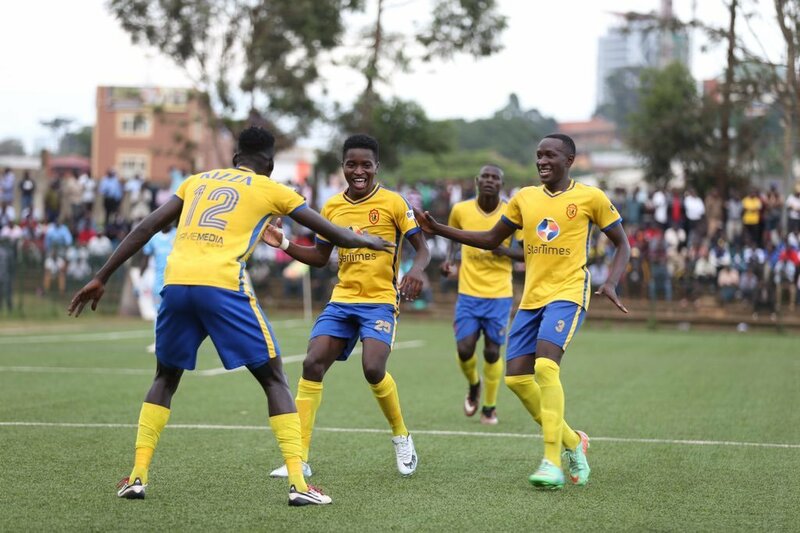 LUGOGO – KCCA FC will be out to continue a fine run of form whenever they host URA in the StarTimes Uganda Premier League. The two sides face off on Tuesday afternoon with the Tax Collectors winless away to the Kasasiros since 2011. With that record in mind, Sam Simbwa’s side have all to worry about especially with their opponents eyeing a third League crown in four years. The Lugogo based side currently top the log on 45 points, four ahead of second placed Vipers and with the Venoms facing a potential banana-skin away to Onduparaka on the same day, Mike Mutebi’s side will see the game as a chance to pull further clear. Despite the good home history in this fixture, Mutebi will not be looking at it. “We will not base on history, we just need to concentrate on the game before us and try to get all three points because the competition is intense at the top, said Mutebi. “We have prepared well for URA and i am sure the boys would love to bounce back immediately after dropping two unnecessary points in our last game against Police. “They are a very organized team especially when they lose the ball and after regaining possession, they have very good players who can take them forward. We expect them to play more on the break. KCCA have seen the return to full fitness of several key players. Their major absentee for the game will be Filbert Obenchan who is still recovering from a lengthy spell on the sidelines. Mutebi is expected to recall top scorer Patrick Kaddu to the starting lineup after the striker started on the bench against Police. For URA, they snapped a three game winless run in all competitions when they defeated Kirinya JSS 2-0 last time out. It is the sort of game they will be hoping to pick inspiration from. “The players are motivated especially after the win against Kirinya and we hope that can spur us on. Said Simba. “It is going to be a tough game and despite them being at home, me i don’t regard us being away from home. Allan Mugalu and Allan Munaba have been ruled out with injury. Goalkeeper Naftan Aliozi has returned to training this week but not likely to feature. Siraji Ssentamu who suffered a bad head injury against Kirinya will also not feature. URA who have been fairly impressive this season will hope they can win at Lugogo and close in on third placed Mbarara City who play on Wednesday. This will be the 18th meeting between the two sides since December 2010. In the other 17 meeting in that period, either side has won six and drawn the other 5. KCCA are unbeaten against URA in any of their last four meetings, winning two and drawing one. The Tax Collectors last defeated Mutebi’s side in December 2016 (1-0). The reverse fixture last season saw KCCA win 7-2 in what proved to be former URA FC coach, Paul Nkata’s last game. In the first meeting this season, KCCA edged the Tax Collectors 1-0 at Namboole. KCCA go into Tuesday’s game unbeaten in their last 9 League fixtures (W6 D3). Their last loss was in the 3-2 defeated to Express back on 11-12-2018. At Lugogo, Mutebi’s side has gone 28 games minus tasting defeat (W23 D5). The last team to come into their back yard and defeat them was Vipers (2-1), back in April 2016. For URA, they have lost only two of their last 24 League games (W8 D14). The only two teams to defeat them in that period are KCCA FC and Maroons FC, both 1-0. Away from home, the Tax Collectors remain the only side yet to test defeat this season having won two and drawn the other 7 of their 9 road trips.